YAY, the moment we all waited for: a new Wonky flavor. The cauliflower-truffle dip is heavenly good and perfectly fits autumn! The first reactions to the new flavor are awesome! Because of the creamy texture of the cauliflower-truffle dip, this dip is perfect as a spread. That way you can easily create a healthy toast during lunch, with a healthy alternative to other spreads that contain more saturated fat, sugar, etc. The toast we love is the one below: spread a thick layer of cauliflower-truffle dip on the toast, add some pine nuts, rocket, black pepper and parmesan cheese. Off you go! A big fan of Wonky sent us this inspirational idea for a healthy lunch salad with the newest Wonky dip. Easy to prepare, delicious to enjoy as healthy lunch. Ever used the Wonky dips in a fancy dinner recipe? Lots of bloggers do it! They’re so creative that each time they come with a surprisingly delicious and healthy recipe! This time we feature the recipe created by @sofievandenbrande. Not only because it’s a fabulous photo, but also because it’s finger licking goooood! She used the cauliflower-truffle dip as a basis on her plate. 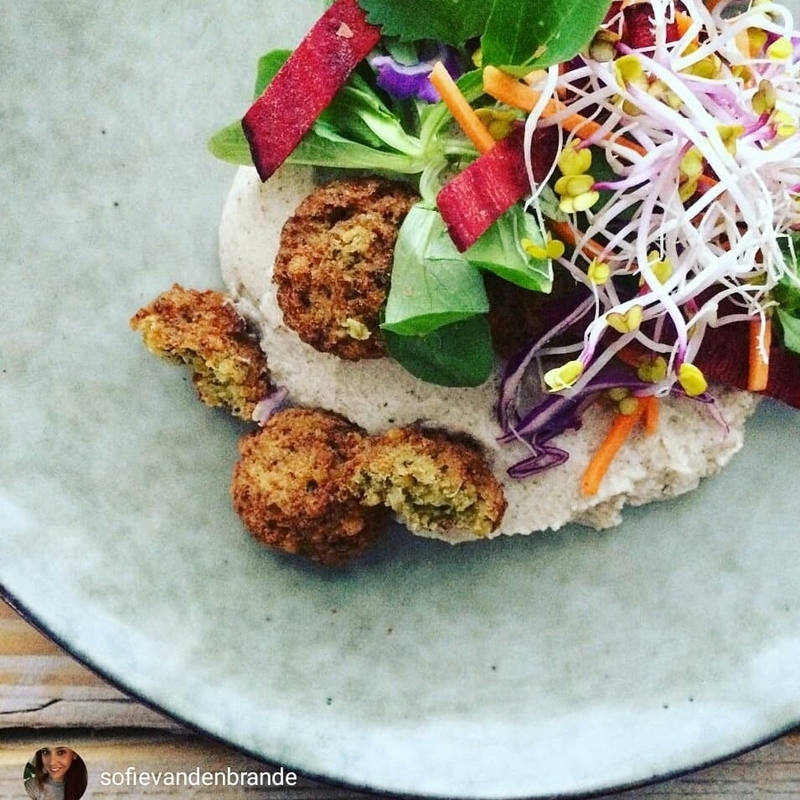 Topped with freshly cut vegetables, bean sprouts and finished with homemade falafel! As you can see, our new Wonky flavor opens a world of possibilities to eat healthy easily! So go get them you Wonky Heroes!